Of all the sad evenings one might spend in the theater, few are as acutely painful as those spent watching a classic play that is somehow no longer classic. It’s almost unbearable—seeing an actress deliver a comedic line that stopped being funny 50 years ago (“I’m known as the Kay Francis of Kirby & Co.”) The strain on her face is obvious; she scans the audience desperately, pleadingly. Surely, someone will save me from this anachronistic hell, say her eyes. But no one does. And so, drawing on all her years of training and every wink and gesture she can muster, the actress utters the line anyway, whereupon the audience explodes in laughter. This comes as an enormous surprise to the actress, but only because she forgets that the audience is in on the feint. For whatever reason—nostalgia, ticket prices, sympathy for the actress—hundreds of strangers in a dark auditorium have decided that not only will they watch a play from 1936, they will become an audience from 1936. Or rather what they imagine such audiences were like. The Depression-era Broadway theater crowd and its bleak realities—bread lines, mass unemployment, and black housekeepers who bark “Yassuh” and “No, suh!”—are about as far removed from the present as you can imagine, and thankfully so, or so one would think. And yet today’s theatergoers laugh dutifully at caricatures which in any other context would constitute a hate crime. Theater critics, not to be outdone, engage in this sort of destitute time travel too. They are unanimous in their praise, gushing that "NOTHING COULD IMPEDE THE SENSE OF EUPHORIA AND MIRTH THAT HAD WASHED OVER THE AUDIENCE" (Broadway World Houston) or that said mirth "DEMONSTRATED THE PULITZER-WINNING CLASSIC’S ENDURING APPEAL" (Houston Chronicle) or, most depressing of all, that the play represented "AMERICA AT HER BEST" (Houston Press) Those with the temerity to suggest that the play in question is actually "A HORRIBLY DATED PIECE OF CLAPTRAP" (the author) are branded cranky, cynical and/or unpatriotic. 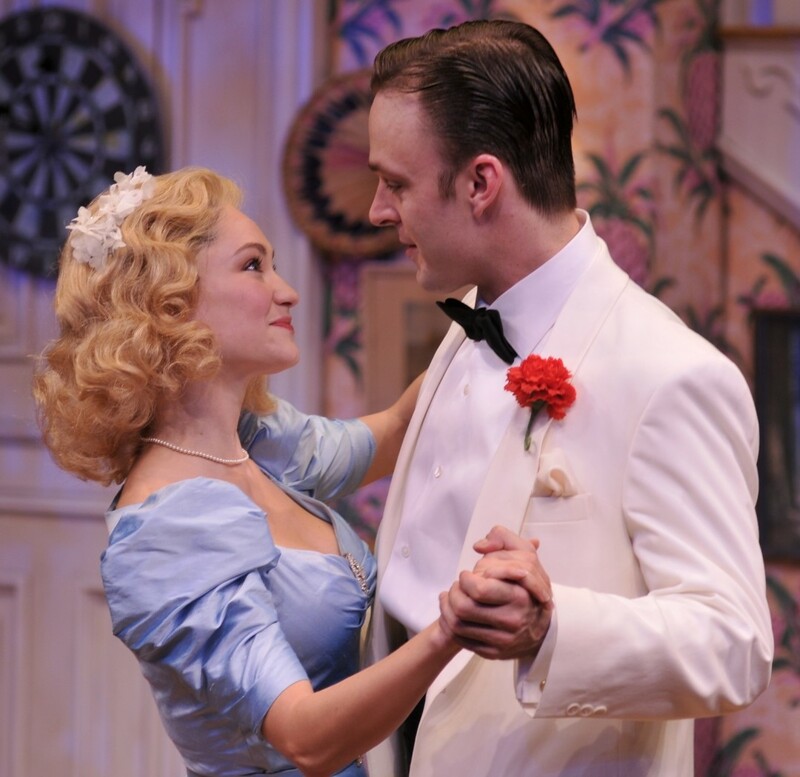 Which is not to say that the Alley Theatre’s production of You Can’t Take It With You possesses no redeeming value. On the contrary, the Kaufman and Hart farce is adroitly staged, unfailingly well-produced, and almost overflowing with comedic actors whose talents are abundantly in evidence, sometimes marvelously so. But in this context, the quality of the production only serves to underline how much skill, time, and money have been squandered. Some will consider this an unduly harsh assessment of an evening of harmless fun. But really, what fun is there any longer in watching an impossible family of so-called eccentrics—false advertisement, in this critic’s view—one of whom wants to marry into an equally impossible family of wealthy, blueblood, hoity-toity grotesques on permanent leave from a Monopoly set? But, you will say, such a dramatic situation has been a favorite of playwrights for hundreds, indeed thousands of years. Yes, and where has it gotten us? In the minds of the general public these days, the prevailing view is that the theater is tedious, dull, moth-eaten, and irrelevant. The Alley’s production of You Can’t Take It With You would appear to confirm this, were it not for the great deal of talent on display. That alone gives us reason to hope, that and the belief that the high priests of the Alley will consider the unparalleled influence their company has over the city’s theater scene, and the responsibilities that lie therein. That a play has captured the imagination of one generation is no guarantee it will capture another one, as the Alley is well aware. Sometimes a work’s success belongs to just one era, and you can’t take it with you.